Reporting to the Supervisor, this position provides daily direction to unionized full-time and part-time staff as it relates to the planning, load-in, set-up, running and load-out of performances, events and corporate functions throughout the City of Brampton. •Supervises the technical operations team. Provides daily direction to unionized and part-time staff including the assignment of work duties. Ensures adherence to all relevant health and safety policies and applicable legislation to maintain a safe working environment within City theatres and related facilities. Provides performance feedback and is engaged in the recruitment and orientation of new employees to develop a strong core of technicians. •Ensures all technical requirements are met. Plan and coordinate logistical requirements including power, equipment, transportation, hospitality and staffing for all performances, functions and events. •Oversees technical equipment maintenance and inventory. Coordinates the preventative and demand maintenance or replacement of all technical equipment. Ensures the restore of theatre systems to house standard in all venues for all bookings and productions including the transportation of equipment between venues. Maintains an up-to-date inventory of all technical theatre assets for each venue. •Communication and Customer Service. Assists management on matters of a technical nature to ensure excellent customer service. Coordinates with other City Departments, clients, and external stakeholders to provide expertise, advice and technical services where necessary. •Assists in preparing operating and capital budget information relating to technical purchases, operating, and staff costs relevant to the technical areas; oversees and monitors operational aspects of the budgets to ensure efficiencies. •Is available for on-call assistance as needed. 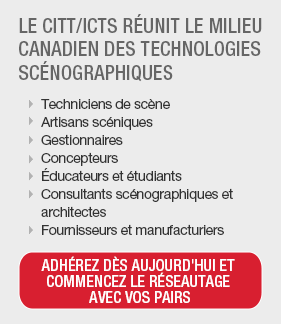 •Post secondary Degree or Diploma in Technical Theatre Production or related field. •Minimum 3 years related experience in a theatre environment, with proven experience in event and activity management; experience supervising full-time and part-time staff; ability to lead in a unionized team environment. •Customer service oriented with excellent interpersonal, communication and organizational skills. •Proficiency with Microsoft Office Suite and related software applications with the ability to prepare and interpret scenic construction drawings and project worksheets. •Knowledge of Brampton’s social, service club, business associations and other community/volunteer networks is an important asset. If this opportunity matches your interest and experience, please apply online quoting reference #102219 by AUGUST 25, 2016, and complete the attached questionnaire. We thank all applicants; however, only those selected for an interview will be contacted.